Enrichment comes in all shapes and sizes at the Aquarium. 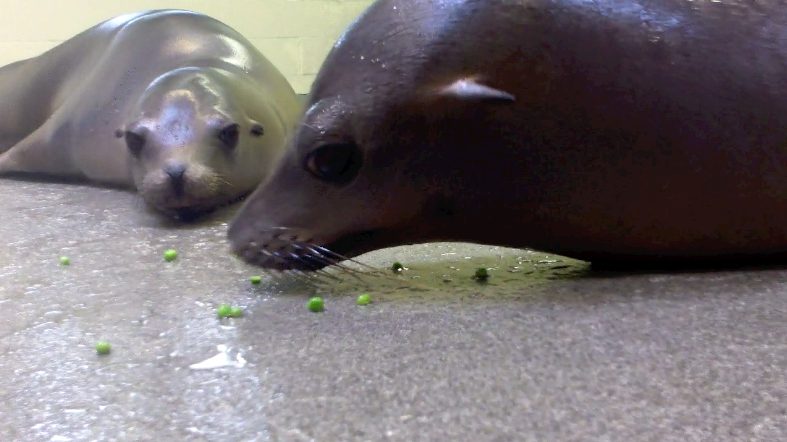 Recently we decided to see what the sea lions thought of peas. Yup, tiny, green, frozen, boring little peas. Here's how they reacted. Not so boring after all! Zoe was really into this tasty activity. Sierra? Not so much. Every animal is different with their own unique personality. Blowing bubbles is a new kind of awesome.